According to most, flies are one of the most annoying insects on the planet. The majority of people agree that flies are unsanitary and bothersome which would be one hundred percent correct. Flies are unfazed by pesticides, fly swatters, and other methods of elimination – making their population continue to grow. Since the fly population is sure to stick around get acquainted with these 5 informative (and unpleasant) points! Flies are unable to chew their food so they break it down to a liquefied texture that they can slurp up by vomiting stomach enzymes onto it. Sounds appetizing right? While snacking, many houseflies also lay eggs. The hair on legs and arms of a fly can be infected with Cholera or E.Coli. Since flies land in a variety of disgusting areas including on feces, carcasses, etc. it only takes a split second for them to spread bacteria to your food. If a fly has landed on your food you’re better off getting something else to eat! Most breeds of flies can lay maggots inside of you. Open and exposed wounds are a favorite spot for flies to seek out. Flies are capable of laying a maggot inside you, which can then live under your skin until becoming full grown. Once it outgrows the space the only place to go is out at which point it can break through the skin. Maggots feed of flesh and blood so an open wound is the perfect environment. Fruit flies can live for several days without their wings or their heads but not both. Fruit flies have been tested extensively in labs by geneticists who have modified and engineered them to adapt without these vital parts of their anatomy. Females can live a few days completely headless and continue with their regular activities. Males continue to court females even when they are headless encouraging their species to grow. Botflies are the queen bee of the fly world. There are different types of botflies, most of which sting or bite mammals, and some which lay eggs under their skin. European deer nose botfly larvae are called stag worms. These botflies can only affect male deer and post no threat to humans. Tree squirrel botfly can be seen in infected tree squirrels in parks. The lumps caused by these type of botfly are large in size but post a minimal risk to squirrels. A healthy squirrel can survive with 5-6 tree squirrel botfly implanted in them. Horse stomach botfly make their way into the animal by resting on a horse’s leg waiting to be licked up. They end up in the stomach where they grow and rest until they mature at which time they are excreted. A horses’ stomach can hold up to 100 of these botfly’s’ at a time with no exterior symptoms of an infestation. Horse owners beware of horse stomach botflies. 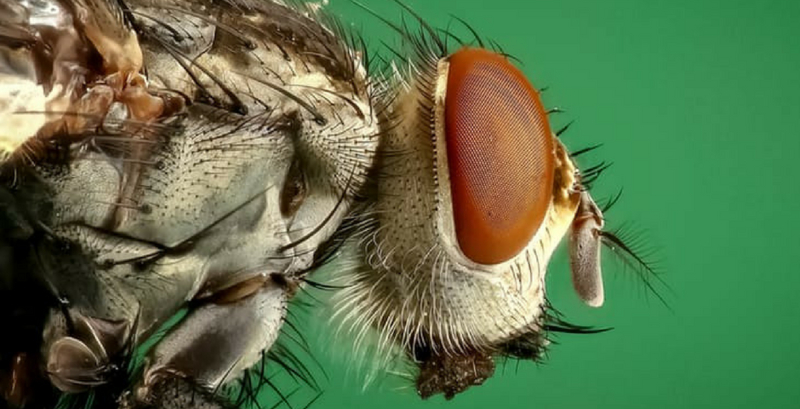 House flies are the most common breed of fly that humans interact with. These nasty creatures defecate every 3-5 minutes of every day, on any surface they land on. It is a possibility that a housefly can even defecate on you. Since flies taste with their feet, if they think you taste good they will vomit stomach enzymes on you to try and liquefy your skin into something edible. While their stomach enzymes post no harm to human skin, the tiny speck left on your arm or leg could carry disease. It’s important to be familiar with the wide range of problems that can be caused by the different breeds of flies. Ensuring your home is clean at all times and fly free can protect yourself and your family from disease and infestation. After a fly has landed on any surface or your food use a disinfecting cleaner or throw the food away and get a new snack! 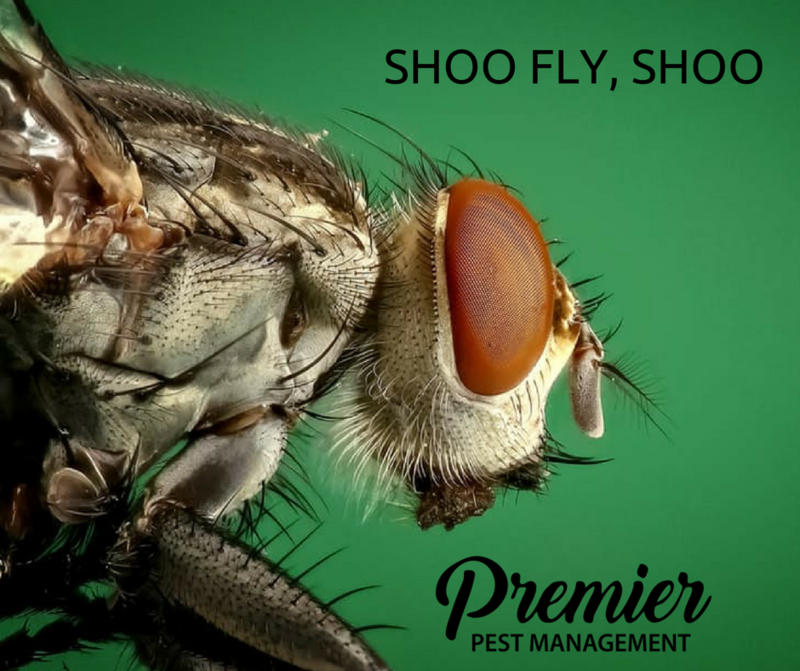 If your fly problem has become more than an annoyance, we can help!